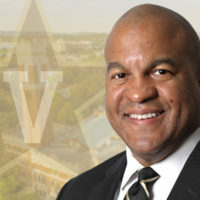 Vanderbilt announced today the establishment of a search committee and an advisory council for the recruitment of the university’s new vice chancellor for athletics and athletics director. Additionally, Vanderbilt announced that global organizational consulting firm Korn Ferry will support the search. Jed Hughes, vice chairman and head of global sports practice at Korn Ferry, will coordinate the search process alongside Korn Ferry Senior Associate Kyle Bowlsby. Hughes brings extensive experience and is well-known for helping to recruit top executive talent for major college athletics programs and professional sports across the country. Bowlsby is also experienced in managing high-profile executive transitions at the collegiate level, joining Korn Ferry’s global sports practice in 2015. The firm, which also partners with 98 percent of the Fortune 100 to address talent acquisition, will identify potential candidates to succeed David Williams II. Williams has led the Commodores since 2003. 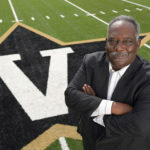 Williams announced last month that he will step down from his role as Vanderbilt’s vice chancellor for athletics and university affairs and athletics director once a successor is named and in place. “David’s leadership and dedication have transformed Vanderbilt Athletics and brought our program to national prominence. We are now looking for someone to build on David’s legacy – someone who understands the value of learning and discovery and how that drives our mission of preparing student-athletes for success on and off the field,” Chancellor Nicholas S. Zeppos said. 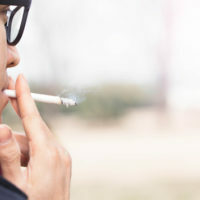 Korn Ferry assisted in the search that identified current Southeastern Conference Commissioner Greg Sankey following the retirement of Mike Slive in 2015. Zeppos, then president of the SEC presidents and chancellors, chaired that search committee and announced Sankey as the eighth commissioner of the SEC. The firm has successfully completed searches for athletics directors at Rice University and the University of Virginia, among others. “Key to our choosing Korn Ferry to assist with our search is the firm’s demonstrated ability to recruit a pool of candidates with diverse experiences and backgrounds,” Zeppos said. Candidates vying for the Commodores’ top job will interview with a search committee chaired by Zeppos and comprised of Vanderbilt Board of Trust Chairman Bruce Evans; Board of Trust member and Board of Trust Athletics Committee Chair John Ingram; Vanderbilt School of Medicine Associate Dean of Alumni Affairs Ann Price, a former Commodores standout in singles and doubles tennis; and YWCA of Nashville and Middle Tennessee Vice President for External Affairs Shan Foster, a former Commodores basketball player and one of the most decorated athletes in Vanderbilt history. 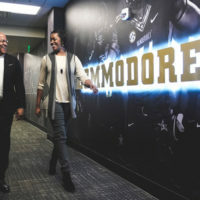 The university’s search process also will be informed by an advisory council convened by Zeppos to ensure the process is rooted in what he noted in a recent column is “The Vanderbilt Way” – developing students who compete athletically at the highest level and thrive in a rigorous academic environment that helps them develop the leadership qualities that will bolster their success and impact beyond Vanderbilt. In line with the university’s commitment to listening to, and learning from, a diversity of perspectives to drive progress, the search will be informed by input from a wide range of stakeholders through the listening tour announced by Zeppos in mid-September. Since that announcement, input has been gathered through dozens of individual meetings with coaches, students and staff, and nearly 1,000 comments from alumni, fans and others via an online feedback form.